Charm your way into Halloween with this mysterious dark masquerade costume. 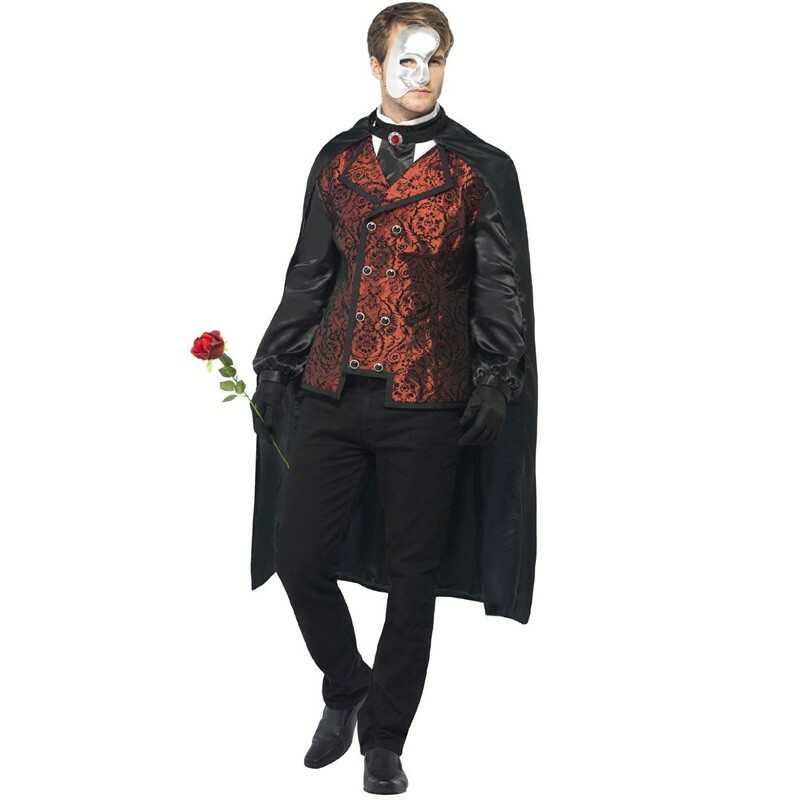 This comes complete with a Long Black Satin Effect Cape with a Red Jewel in the Centre and Pair of Short Black Gloves. The Outfit also features a Red Patterned Mock Shirt with attached Buttons and a Single Silk Red Rose. Adding extra Mystery to the Costume is the Silver Half Ace Mask on black Elasticated String. Medium 36'' - 38'' 49"
Large 40" - 42" 49"